Tags: partypoker, Rob Yong, Viktor Blom. Posted on Thursday, December 07, 2017 by "T". Viktor ‘Isildur1' Blom's reputation may have limped a little in the past few days at PokerStars, but on November 29 Wednesday, his poker prowess was definitely on fire, burning other poker pros' strategies and skills down to the ground as he walked away clutching the top prize of $340,000 from the invitation-only high-stakes $200/$400 PLO cash game at Sam Trickett's High Roller Room. The star-studded poker cash game featured several players including the likes of Michael ‘mcZhang' Zhang, skadrak, Dusk Till Dawn Poker Club owner Rob Yong, King's Casino owner Leon ‘KingsofLeon' Tsoukernik, and partypoker ambassador Sam Trickett. It was a rough start for Blom as he quickly lost a $40,000 buy-in, but soon after he recovered, and throughout the next grueling seven-and-a-half hours he eventually built up a big stack of around $440,000 (most of it originating from Tsoukernik's huge bankroll). At one point in the game, Blom saw his stack come over to the $200,000 count after he won against Sam Trickett. After the match Trickett said to Blom, "Viktor got me in a $200k pot with just four outs on the flop. That one hurt because I was already buried", before adding philosophically, "It's the life I choose...haha"
Too bad for host Trickett, the game ended as him being one of the biggest losers, dropping $230,000. Of course, this amount may not put a significant dent in his vault, because in the past seven years he has cashed almost $20 million from live tourneys. His biggest live cash is from 2012 WSOP, when he got 2nd place in the $1 million buy-in Big One for the One Drop tournament for $10,112,001. This achievement put him on the poker world map as Great Britain's all-time most successful poker player. The evening's biggest loser so far was Tsoukernik, as Blom snatched another 6-figure pot from him, and at the final stretch of the match, the King's Casino owner was losing a lot from both Blom and especially Zhang, who was able to come strong in the later stages of the game, finishing with more than $300,000 (but he still lost $75,000 in the game). Tsoukernik's loss cost him $250,000 that evening. Clever Rob Yong was able to walk away as the second big winner from this match as he decided to call it quits halfway throughout the match, since he's already satisfied with the $290,000 profit he made. partypoker Millions Main Event: Viktor Blom currently in 4th place! 17 comments for "partypoker invitational PLO Cash Game won by Viktor Blom for $340,000"
few days ago,when we had that news about his winning at poker stars tournament,I made post where I was sure that soon we will read about some new winning for viktor blom and only few days after that we read about this!very nice amount for him! Wow it seems, that Isildur was on fire at the moment. Unbelievable what up and downs he have in the last years, but at the moment he have really a good run. I hope we can see some of his games in poker tv shows next time. Lol, 230,000$ loss must be big for Trickett, unless of course he was selling actions but that's usually for multi table tournaments. I know some cash games players do it too. Sure Trickett won 20 millions but only a part of that reached his pockets. Always a good time for Poker in general when a player of Blom's online stature captures these types of winnings. Good on ya mate and hope to hear more from him soon. Fascinating player..
even to watch as much as you can of it. Invitational only that lasted more than seven hours. He managed to recover his game and won it. Gigantic congratulations go out to Viktor Blom for scooping US$340,000 in a cash game hosted by Sam Trickett. It is pretty remarkable that he managed to make such a large profit at the star-studded table. 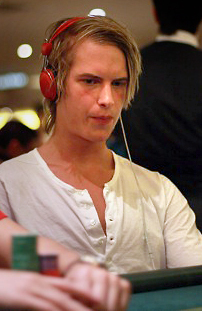 Viktor "Isildur1" Blom is one of the best online poker players. He is young, he has some skidding but now he's much more mature. He will have many beautiful performances in the future. Viktor has talent and is able to play a lot live poker but i do not know how much he will want this. We will see in the next few years. Any professional or semi professional poker player should earn money from Leon Tsoukernik. This is not a shame is a job, a sport, a hobby etc. and leon earns money from other players with his casino or with his games. The most beautiful thing is when you win and you're retiring to enjoy that money. this is normal for this kind of players!when you can spend 40 K on buy in and then to rebuy 40 K again,this winning amount is nothing special for him!for us is big amount,for them just like when you buy cigarettes! These people have a different sense of money. And they are still low on the ladder. 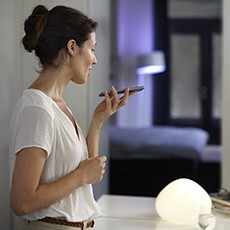 Would gates rethink twice before spending somewhere 40k USD you think?